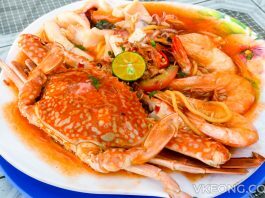 Our original plan was to try Fatty Crabs at Taman Megah. But looking at the long queue of customers waiting to be seated (it was even before 6pm!) we decided to detour to Hoi Peng at SS2 instead. Fortunately for us, it was a tasty affair all around; albeit their crabs are a tad expensive than what we anticipated. 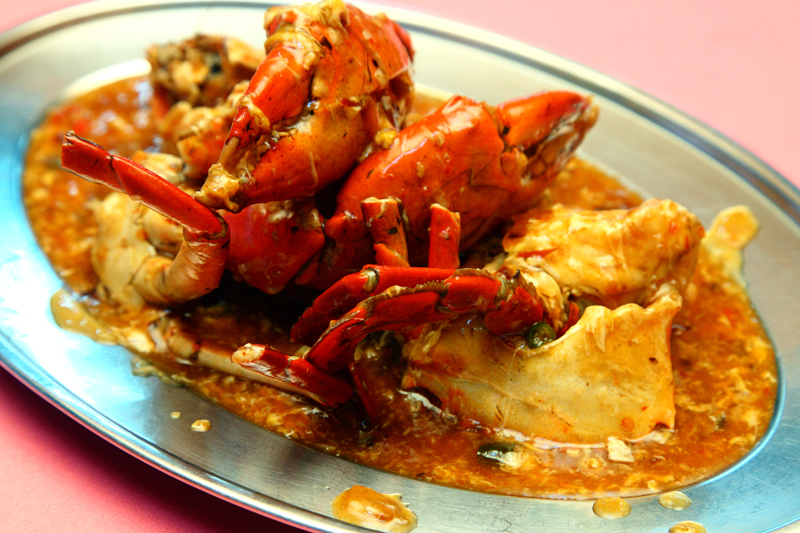 From what we saw on their whiteboard menu, they are serving Indonesian crabs @ RM7.50/100g, or RM75/kg. 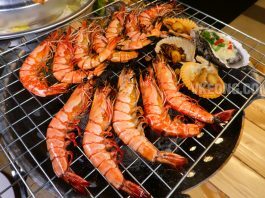 The pricing isn’t too bad considering most seafood restaurants in town are charging about the same between RM68 to RM88 per kg. So I am guessing the crab we had was more than a kg since we were charged RM90 for it. Among the handful of cooking styles available, we picked the Sweet and Sour simply because it’s their signature and also the chef’s recommended style. The sweet and sour sauce tasted pretty standard in a good way so there’s no actual surprise here. But the crab was really fresh, tasted sweet and perfectly cooked, so it had a flaky yet firm texture. 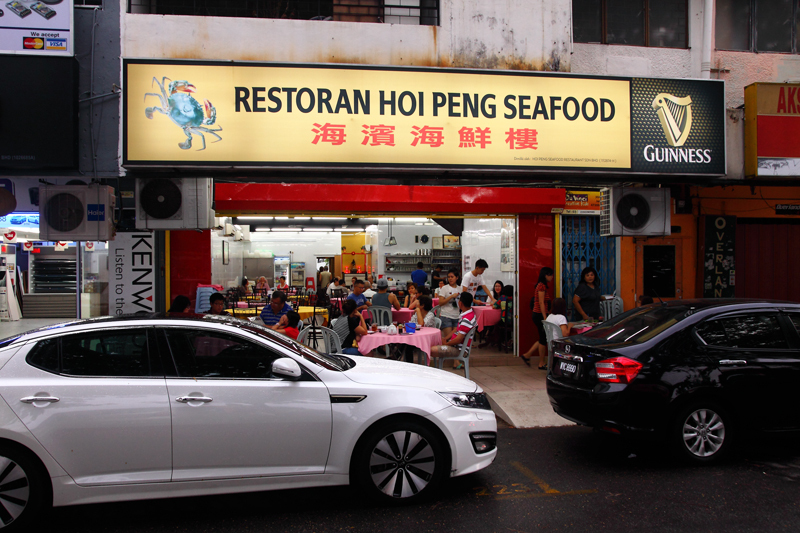 If you care more about the quality of the crab, then you won’t be disappointed with what Hoi Peng offers. Don’t get me wrong though, the sauce is good, just not mind-blowingly great. Being a little bored with Kam Heong and Xiong Tong style, we opted for the Ginger and Chinese Wine Lala @ RM15. The portion wasn’t very big but it was compensated with quality. 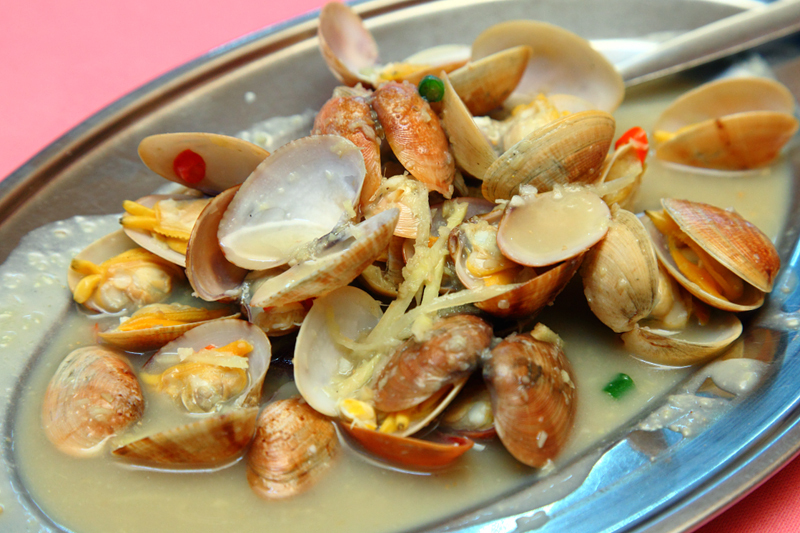 The clams were fresh, plump with a lot of flesh and most importantly clean tasting with minimal grit. Taste wise it was great – the amount of ginger that went into the dish was just nice and noticeable without being overpowering. 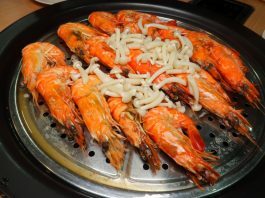 It also had a hint of spiciness accompanied with a pleasant aroma of Chinese wine. 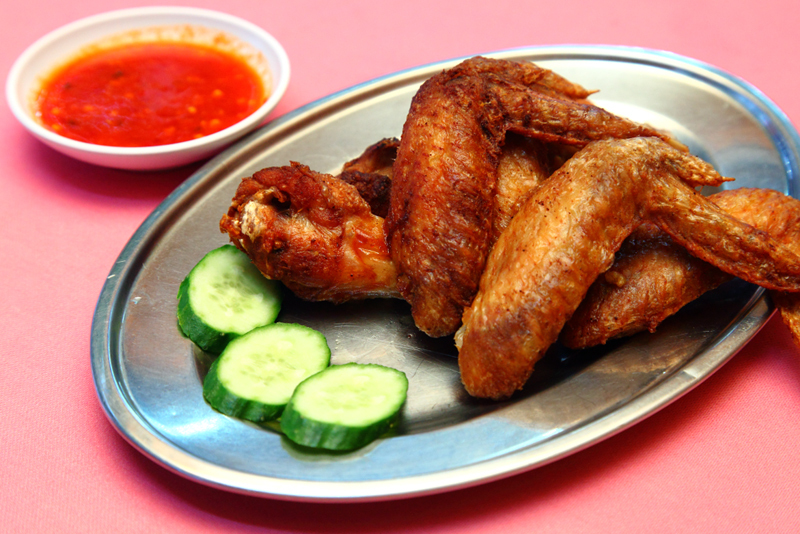 While the Crispy Deep Fried Chicken Wings @ RM12 looked like nothing special, it was delicious alright. Despite looking dry, there’s a burst of juice when you bite into the crispy honey glazed skin. The chilli sauce that comes with the wings is nicely done as well and tasted like those prepared by BBQ chicken wing hawkers, and they just go well together. Lastly, some carbs to fill the tummy. 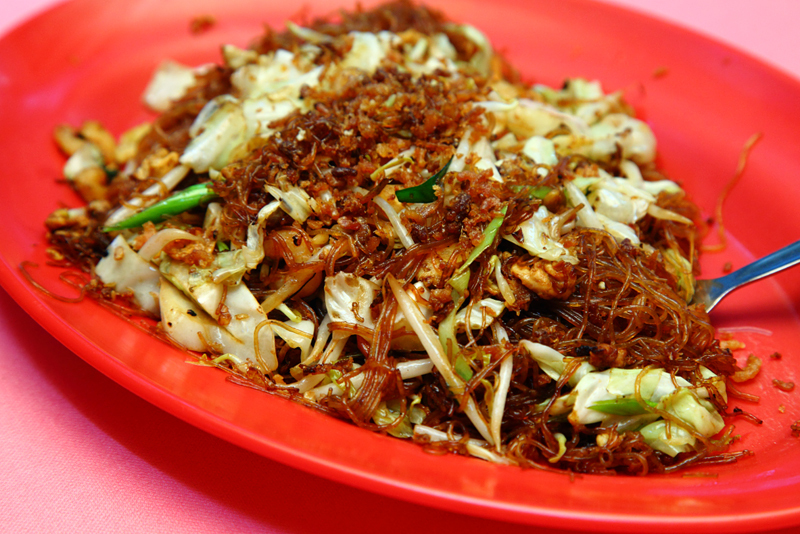 Their signature Fried Glass Noodles @ RM15 is definitely worth a try for its delightfully springy texture. Somehow, it tasted like Char Koay Teow to me but in glass noodle form. With all things considered, Hoi Peng is a good pork-free restaurant that does traditional Chinese dishes well. Price wise it’s above average for its portion but at least they taste good. If you plan to dine here in the weekends, reservation is highly recommended or you might end up being seated along the five foot ways.